Supernatural Video: "Dust in the Wind"
This is a Supernatural Video. This is my "Tribute" Video for John. This Vid replaced "Bedtimestory" in my own, personal "Top three Vids I did that killed me the most while working on it" list. Maybe you`ll like, maybe you won`t, this is how it goes. I was thinking about to disable the comments as I did with the latest Vid related post, I didn´t. Two new SPN Wallpaper and Header I did some days ago, and which I post in here for the first time. These are two of the Wallpaper and one Header I did for JDM. I tried something new with these, and I hope you`ll like. *waves* Under the cut are 3 John Winchester wallpapers, 1 JDM wallpaper. 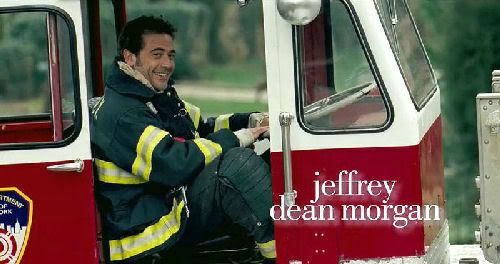 The preview is a JDM header/banner. Enjoy! Screencaps: Trailer "The Accidental Husband"
This is my new video, for a *not so new* fandom: Grey`s Anatomy. But for me, this is a new fandom, 1st vid. Song is "Journey" by Jason Manns. Jason is pretty much unknown outside the SPN fandom, this needs to be changed*g* This guy is far too talented, and, btw, far too cute and nice also * ;D * ... * thud * not to be recognized. "Journey" is from the 1st, and so far only album, a new one is on its way. 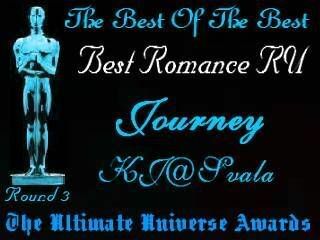 "Journey" is one of my fav.songs!! This is about Izzie and Denny, one of my fav.storylines in Grey`s Anatomy. This is a simple vid, still I cried an Ocean over this. This is a Supernatural video. It is about Dean and John, Father and Son. We all know what did happen in IMTOD. Before this, there was more that didn `t go so well for these two. John said he was sorry, but at the end he said it while Dean still had no idea what was to come. When everything played out, John left without a chance to say his goodbye to Dean. Not the way Dean had deserved it. AHBL2 changed this situation a bit. Did John do the right thing?? Maybe, maybe not. IMO he did what he had to do. This was all he could think of, he didn `t know any better. He saw his son dying, he couldn `t let this happen. Same as Dean did with Sam. So, at the end the Winchesters are all the same , huh?? This is a John/Dean vid, John`s POV. Spoiler for most of SPN season1, season 2 spoiler for: "IMTOD", "ELAC","WIAWNSB" "AHBL2"
This vid is John`s POV, at least I tried to keep it this way. Cat: Drama, about the Father/Son relationship, and what might have gone wrong over the years. AWESOME TRAILER !!! *squeek* ... this is what I call a visual overload, but still awesome, if not beyond !!! Here it is. This video is my 200th, after almost 3 years of vidding. I wanted to do something special for the occasion, and I couldn't pick this or that fandom over the others. So I had a crazy idea and this is the result. "Live to tell the tale" is a crossover between all the 39 fandoms I have ever vidded (even if only once). It is also a look at my personal vidder road since I started, and where it lead me so far. Music is by Nightwish, because this is one of my potential trademarks as well. 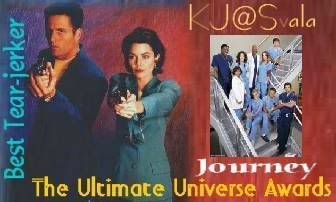 The 39 fandoms include : TV shows (24, Battlestar Galactica, Bionic Woman, Clara Sheller, Dark Angel, David Nolande, Desperate Housewives, Farscape, Highlander, Higher Ground, Lost, Moonlight, NCIS, Numb3rs, Roswell, Sliders, Stargate Atlantis, Stargate SG-1, Supernatural, Suspectes, The X-Files, Who's the boss?, Xena), Movies (2001, A Space Odyssey, Gladiator, Lethal Weapon, Lord of the Rings, Serendipity, Some Kind of Wonderful, Star Wars, The Abyss, The Bodyguard, The Last Legion, Underworld, Van Helsing) and Original Series (Land and Sky, One Path, Shattered Fates, Shadows of the Dawn). Don't be surprised, some concern vids that have not been posted so far, and that only a few of you will recognize. As always, click on the image below, it'll lead you to the video page.